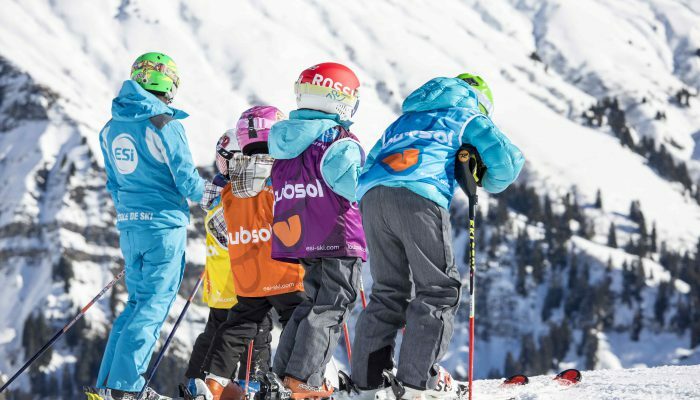 MINIKIDS 3 – 5 yrs: we give little wannabe skiers the attention they deserve: 3 to 6 pupils per instructor, real ski lessons on the nursery slopes. Daily organic snacks and medals included. 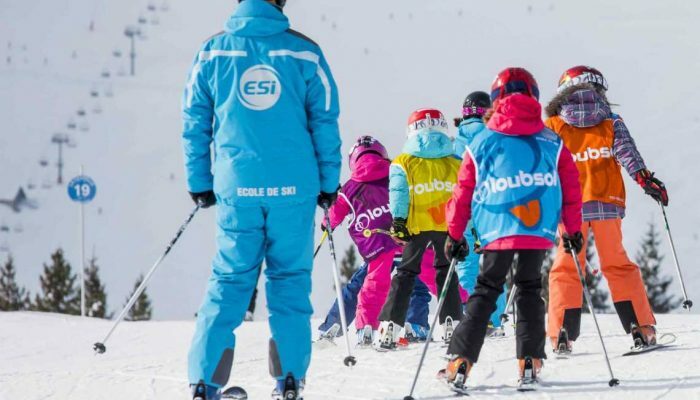 KIDS 6 – 12 yrs: from beginners to advanced ski rockets, 4 to 8 per instructor, daily organic snacks and medals included. Groups are based on technical ability over age as this enables faster progression. ski KIDS 1 : I ski on green runs, I control my speed, I turn snowplough and I take the draglift. ski KIDS 2 : I ski down blue runs and start parallel turns. ski KIDS 3 : I ski parallel on blue runs and start on red runs . ski KIDS 4 : I ski red runs short and large parallel turns in full control of my speed. 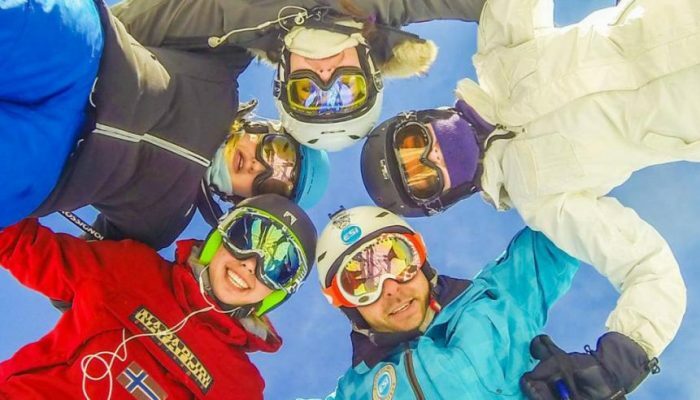 TEENRIDERS 13-17 yrs : for experienced skiers who want to enjoy all the mountain has to offer. You ski on black runs confidently and want to get better in all snow conditions, in the snowpark or slalom. It is possible for children & teenagers (7 – 17 yrs) to have a supervised lunch from 12h to 14h , or sign up for a full day. From beginners to advanced freeriders, contact us via email to book the class you are looking for. 4 to 8 per group. PS: Optional Folie Douce supervised return available!